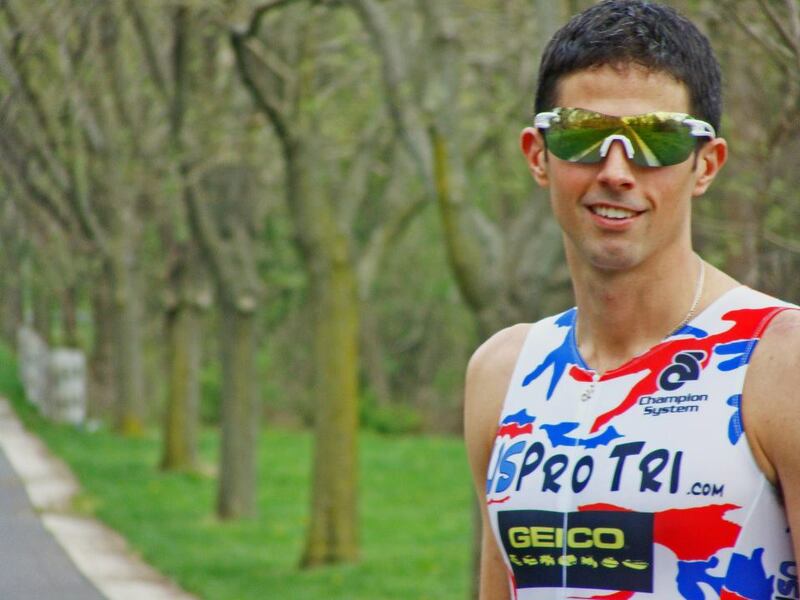 Welcome pro triathlete Jack Smith MD from Richmond, VA, to the Luray Triathlon! Not only is Jack a pro triathlete, but he’s also a Resident Physician in Physical Medicine and Rehabilitation, married and is about to become a first time dad. It is a balancing act that can be challenging, but he enjoys the rewards that come with the challenges. Jack will join a talented field of both elite and amateur athletes who will be competing for part of the $5,000 cash prize purse. A) I have been partaking in triathlons since 2009. I fell in love with the sport after I did my first sprint triathlon in Philadelphia. Since then life has been full of fun and enjoyment. I balance many things including my: career, triathlons, two dogs, relationship with my wife, and in the near future a baby boy. This juggling act is challenging at times but the rewards outweigh the determents. Ultimately I am fortunate to have a supporting wife and family who enable me to juggle all these different things. A) I love the competition and training. A) Drastically…Prior to starting triathlons I was in my first year of Medical School and was still living and acting like I was a frat brother in College. I was drinking too much, eating too much, and not taking care of myself. Fortunately something changed in that year and I decided to do my first triathlon. Since then I have been eating healthy and taking care of myself. A) It seemed like a good race and it was close to where I live. A) I would love to win but I know there are lots of good guys competing at the race, so I would be fine with just competing to my best ability. A) Any newbie can greatly benefit from a coach. A) I will be training for Ironman Chattanooga. This will be my first Ironman so I am very excited. Welcome and Good Luck, Jack, in Luray!